Exotic car shipping is not for everybody. How can it be? 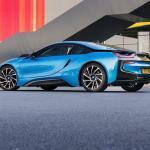 Look at the MSRP of most exotic cars. Exorbitant. Forget about the top 1%. People who can afford exotic cars are in the top .1%. It is a world that most of us can only dream about. The funny thing is, where are these people and their exotic cars? We almost never see one on the road. It sure is cool when you do. Try taking your eyes off a cool exotic car. The allure is too great. The rich put their pants on one leg at a time just like the rest of us. And they encounter the same dilemma when it comes to auto transport. 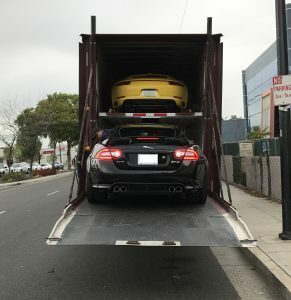 Who do you trust to ship an exotic car? Perhaps you are reading this because you have an exotic car. 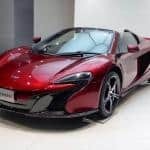 The first thing you need to know is that maybe 99% of car transporters do not want to get anywhere near your beautiful and way too expensive vehicle. Why is that? Because the liability for the car shipper is through the roof! 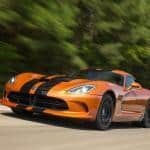 Most auto transport carriers carry physical damage policies of $100,000 to $250,000 and lack enough coverage for the majority of exotic cars. Only a small percentage carry half million dollar or higher policies. Tip #1: Make sure your own automobile insurance policy is sufficient and up to date for your vehicle. In other words, don’t take any chances on something so valuable. Consider your own policy umbrella coverage should something happen and the carrier’s insurance either not be sufficient, in force, or the company makes things difficult. Tip #2: Ask any exotic car hauler for a copy of their insurance certificate before they venture out to pick up your beautiful exotic vehicle. Look not for the liability coverage, but rather, the physical damage cargo coverage. If it’s not enough to cover the value of your vehicle, then keep looking. Direct Express Auto Transport will share with our customers upon request the insurance certificate of any and all exotic car carriers. 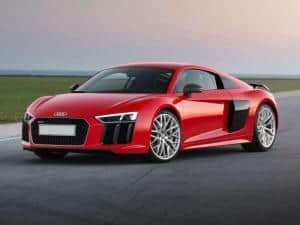 Tip #3: Expect your exotic car transport cost to be much higher than just about any other vehicle. Very few vehicle shippers will want to touch your super nice car. It is a specialized segment of the car shipping industry. For you having an exotic car, I guess you could say paying more comes with the territory. Tip #4: Ship your exotic car Enclosed Transport. Most exotic cars have ground clearance of 4 inches or less and must go enclosed trailer anyway. No Open-air carrier wants to bottom out and possibly damage an expensive vehicle. If they have any sense at all, the open carrier won’t touch your vehicle. This is a job for a lift-gate and for that you need an enclosed car transporter. By nature enclosed transporters cost more. And among those, the ones willing and able to tackle a pricey exotic car charge even more. You get what you pay for. 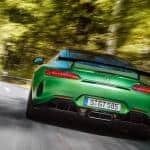 Putting aside the Formula 1 race cars that never see the light of day outside of a track, what are some of the more famous road worthy exotic cars? What might you see cruising down New York’s Fifth Avenue, Chicago’s Magnificent Mile, or Beverly Hills’ Rodeo Drive? 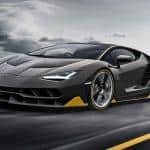 According to autobytel, here are the more fast and famous exotic cars that are certified to be operated on American roads. From the Dodge Viper on the relative low side (but still so hot! 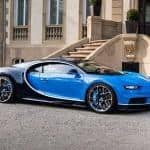 ), to the out of this world $2.5 million Bugatti Chiron. It would be folly to try and skimp or save a few hundred bucks on shipping an exotic car. There are quite a few carriers and brokers who lack the expertise to handle such an expensive vehicle. You should perform proper due diligence before trusting your exotic car with anyone. Follow our great advice above (the tips) and good luck!